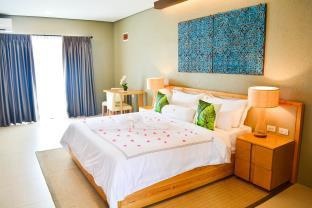 Located in Coron, Pearl Vista De Coron Resort Hotel is convenient to Palawan State University - Coron and Mount Tapyas. Featured amenities include complimentary newspapers in the lobby, dry cleaning/laundry services, and a 24-hour front desk. A roundtrip airport shuttle is provided for a surcharge (available on request), and free self parking is available onsite. Good Hotel. Easily accessible by car and close to the city center. Great pool. Awesome vibe. New aircon. New property. New sheets. Nice swimming pool. Nice swimmingpool. Decent pool area. Excellent customer service skills. Friendly helpful staff members. Helpful security. New property. Good common space. Good structure. Private boat tour. Private taxi. Nearby shops. Not much variety on breakfast. Had to pay for breakfast. Varied breakfast menu. Aircon worked well. Noisy AC. The smallest accommodation. NO working hotel wifi. No internet service. There is no cellphone signal.